This lubricant is safe! Paraben-free and water-based. What is the Kegel8 Pelvic Toner Lubricant and Care Pack and how does it work? The Kegel8 Pelvic Toner Lubricant and Care Pack contains the new formula Kegel Exercise Gel lubricant and Kegel8 Cleaning Spray and it works simply to save you money! Kegel Exercise Gel is a simple natural lubricant that will help you use your pelvic exerciser effectively so you get the very best results. 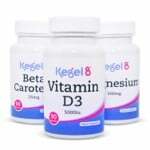 Kegel Exercise Gel is a water based formula that supplements your body's natural moisture. It feels silky smooth and is odourless, colourless and is non-staining. Specially formulated, Kegel8 Cleaning Spray is our unique spray-on antibacterial cleanser and is the quick, easy and effective way to keep all your kegel exercisers clean and safe. 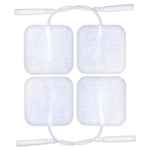 Just a few simple spays will do the trick - then simply leave to air-dry or wipe with tissue and store your kegel exercisers away again for next time. Hormone free, Kegel Exercise Gel lubricant will help you to replace intimate feminine moisture and achieve better results from your pelvic floor workouts. 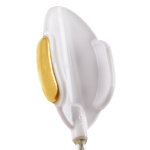 By amplifying your natural moisture vaginally it makes electronic devices more effective – it helps to conduct the electronic stimulation so they work more effectively making the muscles respond quicker and strengthen faster. Kegel8 Cleaning Spray kills 99.9% of all surface bacteria. If your pelvic floor is weak you might find that you are more prone to vaginal infections such as cystitis and thrush and by using this cleansing spray you are ensuring that your kegel exercisers are as clean as possible and doing your best to keep yourself healthy and infection free.